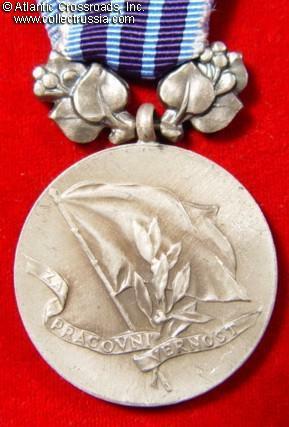 Medal for Dedicated Labor. Est. 1955. Silver (?) or silver alloy, with a fine lacquer finish. 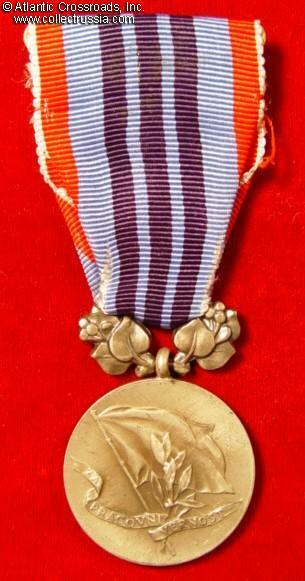 Obverse shows banner with laurel branch and legend "For Dedicated Labor". Czech state emblem with rampant lion on reverse. The suspension is in traditional pattern of apple leaves. 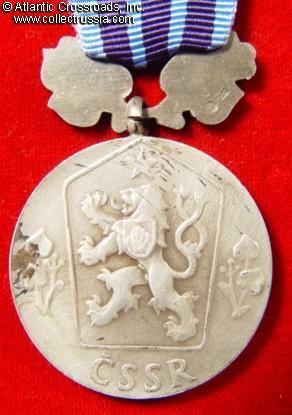 Reverse of the suspension shows two maker mark and "925" which appears to be a Sterling Silver hallmark. Excellent condition. Includes original ribbon with clasp.